The River Corrib which runs through Galway has its origin in Lough Corrib. The lake at an area of 68 square miles is the largest lake in Ireland. 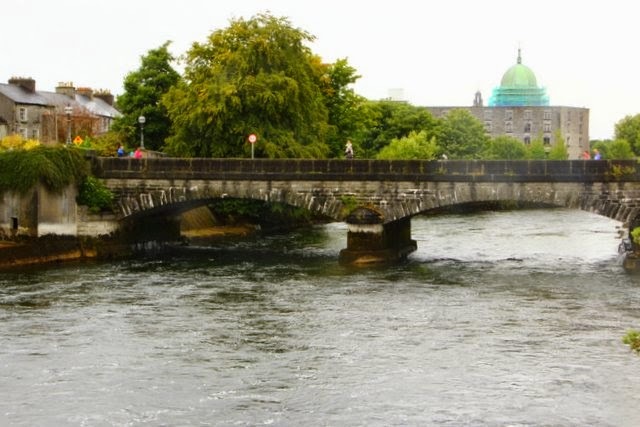 The River Corrib with a length of only 6 kilometers is one of Europe's shortest rivers. But by flow, it's the second largest river in Ireland being surpassed only by the River Shannon. 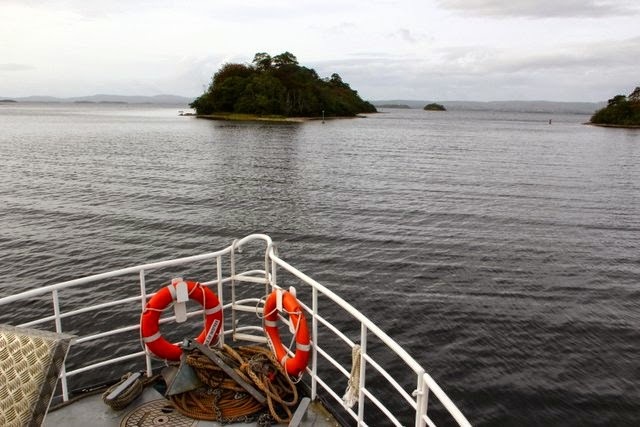 Interesting and fun facts...but facts are not our destination today..
Our destination is Inchagouill Island, the 4th largest of the over 365 islands in Lough Corrib. 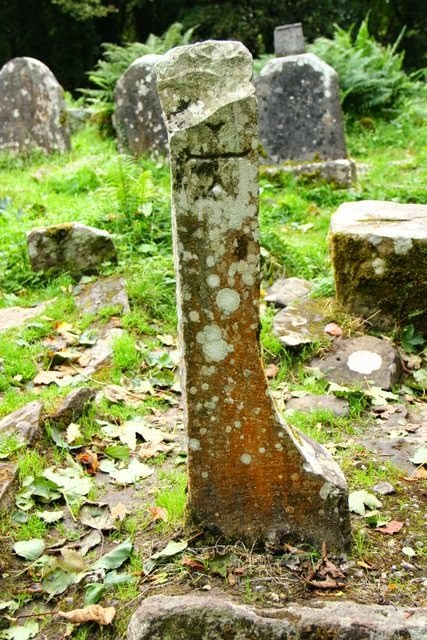 It was inhabited in the past, but is now off-limits to development and is protected by the Republic of Ireland's Department of Resources. 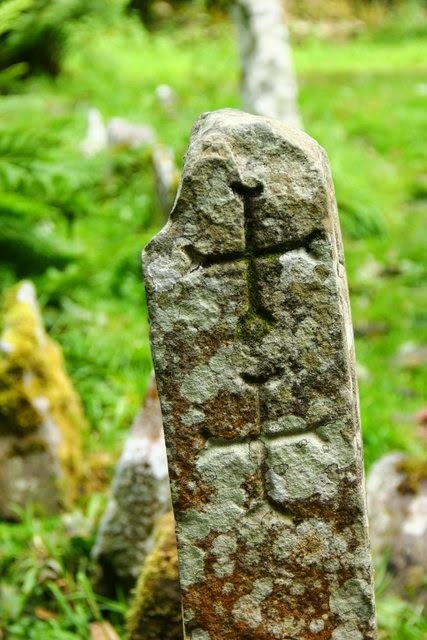 It's the site of some important monastic ruins dating back to at least the 5th century. His rudder-shaped tombstone has been studied by archaeologists who believe its inscription may be the oldest Christian inscription in Europe outside of the Catacombs in Rome. 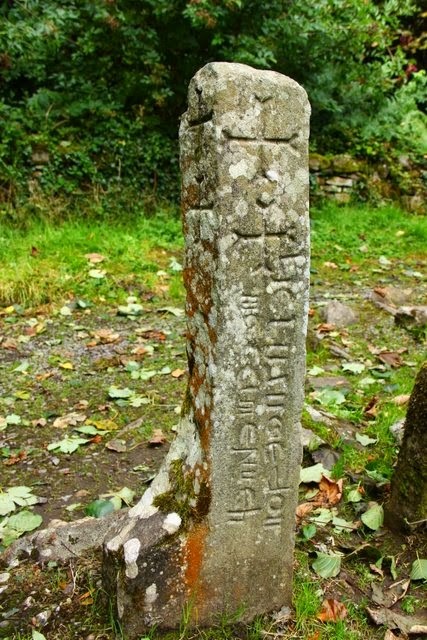 The inscription reads 'The standing stone of Lugna, son of Limanin'. Next time we'll visit the more modern church on Inchagouill Island. 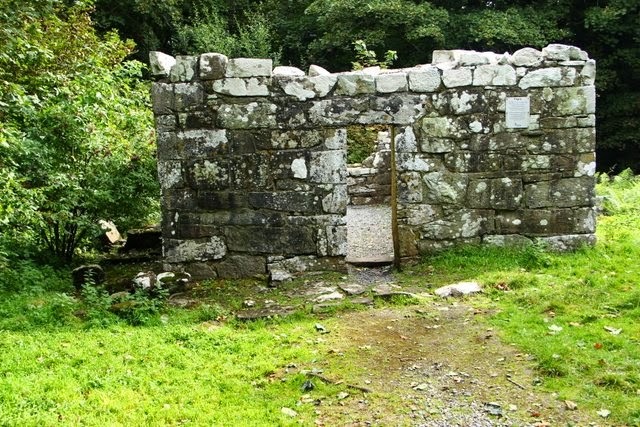 It's positively new compared to this ancient ruin!